It’s always fun to have children around when we’re getting ready for camp (at least, it’s USUALLY fun to have them around). This time the Park family came to work together so their daughters Hannah, Yuna, and Christina were here. Our youngest son Sky was here too as well as Masato, the son of our camp director, Pastor Hiyoshi….so they all enjoyed playing together. 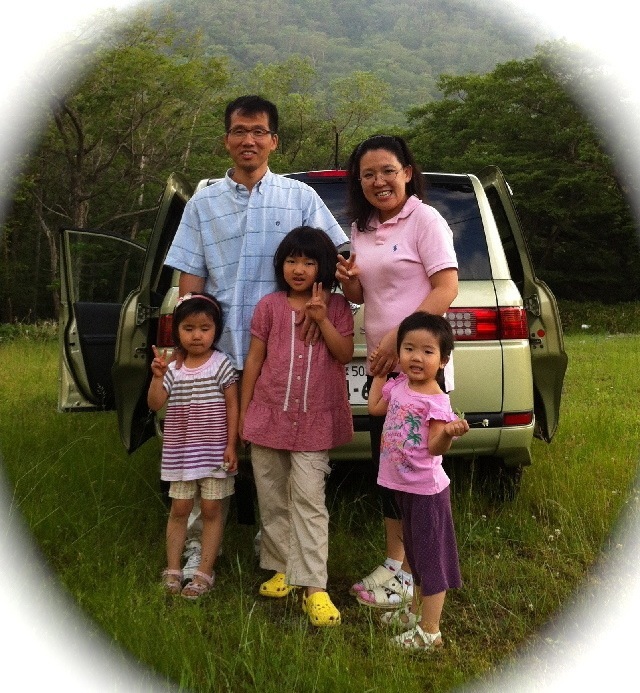 KyoungHo and Joy Park are missionaries from Korea serving as staff at our Shin-Akitsu Covenant Church in the Tokyo area. We are so happy to have them here in Japan working with us. It’s their second year helping us out at ABC so they are now veterans. Sky and the girls seemed to enjoy making things out of the scrap wood that was resulting from the “adult work” on the main building. Here’s a rather large plane that Sky created (“Spruce Goose” sort of comes to mind….). 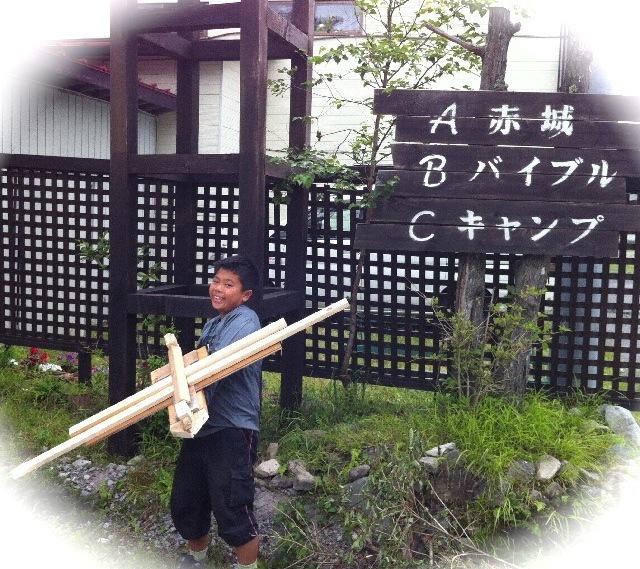 On the second day of camp Mr. Mitsui, one of our board members, helped the children make a little house to play in. We nicknamed it the “Little House on the Prairie”. Here’s a short video of that event. Notice that our lawn (grass we planted back in June) is starting to come in and appears in this video clip as “the prairie”!